Although not exactly local news I thought it would be worth mentioning this. 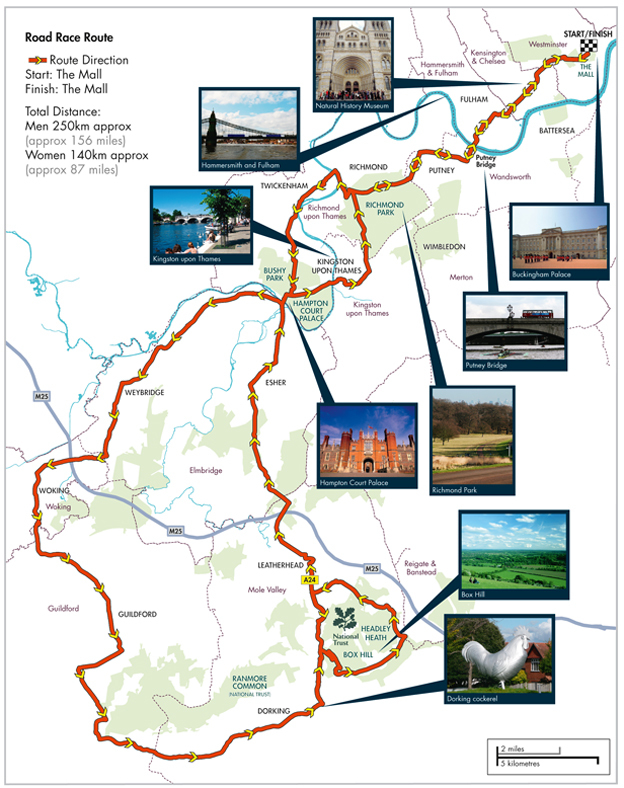 Just released are the details of the 2012 Olympic road race route. The circuit starts in the Mall in London and then wids itself out of London towards Guildford and Dorking before finishing back in the Centre of London. it offers an excellent route for our cyclists. The type of route that would certainly suit Cavendish with a great sprint finish. ur riders will obviously have the advantage of knowing most of the roads in the area and we should see a podium finish or two. We have great expextations for the GB squad especially after their victories in China. Lets make sure we cyclists are out there givving them all the support they need!